Greece vs Germany: Who will blink first? Greece's victorious new PM Alexis Tsipras is staring down its creditors, but he's also staring down the barrel of a gun. On the surface, Greek prime minister Alexis Tsipras may seem to be revelling in post-election euphoria, as many a new leader does. As a populist, all that darting back and forth, giving speeches and grinning for the camera suits him. 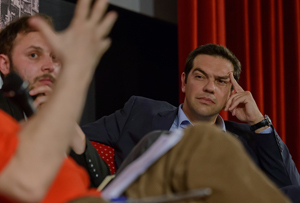 But beneath the smiles and backslapping, Tsipras’ eyes are unblinking. Far to the north, German chancellor Angela Merkel stares back at him. The issue between them: the slight matter of Greece’s €320bn (£240bn) debt and Tsipras’s apparent intention to write a huge chunk of it off as he abandons the country’s crippling austerity measures. You can almost hear the tumbleweed bouncing across the Balkans. Tsipras’s Syriza party came to power in Sunday’s election on the back of some serious promises, above all to end the hated austerity measures that many Greeks feel were unjustly imposed on them by economically imperialist powers like Germany. At first, it seemed that his bark may have been worse than his bite. Tsipras said that Greece would not default on its debts, but would instead find a fair, ‘viable, mutually beneficial solution’ with its creditors. He also said he would not continue ‘a policy of subjection either’, and said something about about the Greeks’ need to ‘bleed to defend their dignity’, but at least he seemed to be someone the Eurozone could work with. Actions, however, speak louder than words. 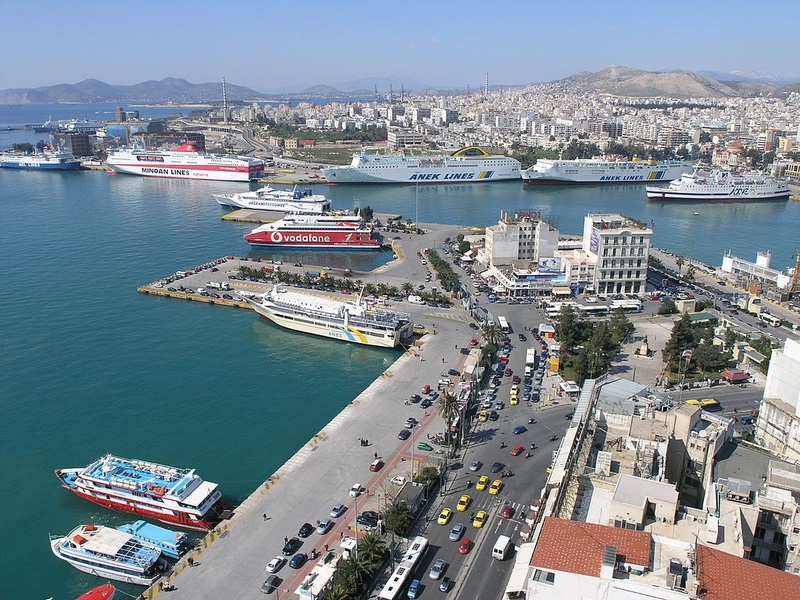 Within four days of coming to power, the new government has already cancelled the privatisation of the Public Power Corporation of Greece (PPC), which supplies almost all the country’s household electricity, and stopped the sale of Athens’ ancient Piraeus port to Chinese shippers Cosco. This is an early sign that Syriza will abide by at least some of its election promises, which include a 29% hike in the minimum wage to €751 a month, free food, healthcare and electricity for the very poorest, a rise in government pensions and the end of the unpopular ‘Enfia’ private property tax. Syriza may not even stop there. There has been talk of a mass forgiveness of private debt, which could be possible if the state takes over the three major banks in which it has a majority stake. Indeed, fears of such a move have caused a 45% plunge in the value of Greece’s banks, and there’s talk of mass withdrawals. All these populist policies may go down well with the Greek people, who are rightly fed up with their recent lot, but even the slowest accountant will tell you that reducing government income from tax and asset sales while increasing expenditure will leave no room in the budget to pay back the debt. Dutch finance minister Jeroen Dijisselbloem said Greece could not have its cake and eat it. He was willing to cooperate, he said, but ‘the support from Europe also means the Greeks have to make an effort’. German vice-chancellor Sigmar Gabriel put it more bluntly. ‘I cannot imagine a haircut’, he said, referring to a debt reduction. Greece and the rest of the Eurozone can’t stand there unflinching forever. Something has to give before Greece’s bailout extension expires on February 28th. Tspiras’ political capital is entirely invested in ending austerity. He couldn’t keep his coalition government together if he turned his back on it. Indeed, it’s the raison d’être for Syriza, which wouldn’t tolerate its leader backtracking. The creditors haven’t got much room for manoeuvre either. The bailout is already very unpopular in Europe’s more prudent nations, and Merkel and many other European leaders have backed a hard line for too long to forgive the debt entirely. Indeed, there are some who believe a Greek default and exit from the Euro would actually be preferable to forgiveness. Catastrophe remains unlikely, however. Most Eurozone leaders remain too conservative and too terrified of the alternative – Greek default, bankruptcy and abrupt exit from the Euro dragging the whole continent down with it – to back a hard line. On the other side, even Syriza’s economists must realise that without access to fresh debt, they cannot effectively end austerity. The most likely resolution is therefore a compromise of some form, probably a further bailout extension with some better terms. In particular, Greece might settle for a relaxation in its deficit limit, which ties how much it can borrow to 3% of its GDP. There’s no guarantee the two sides will be able to reach such an agreement within the next four weeks, however. Feverish negotiations behind closed doors are no doubt well underway. If the worst does happen, Tsipras might have an ace up his sleeve, or possibly a joker. Greece seems to be courting an unlikely new best friend, in Russia. Putin’s envoy was the first foreign representative Tsipras met on Monday, and Greece has already condemned a European resolution calling for further sanctions against Russia. If Tsipras thinks Putin can bail him out, though he’s set for disappointment. He may not have noticed, but Russia doesn’t have a lot of spare cash itself right now.